For those of you fretting, the non-retina ultrathick disk-drived Macbook Pros are still around. There’s just little reason to buy it. 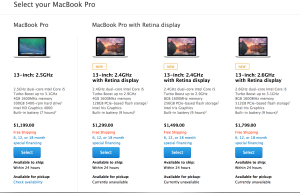 One single 13-inch machine is still available, alongside the new retinas. 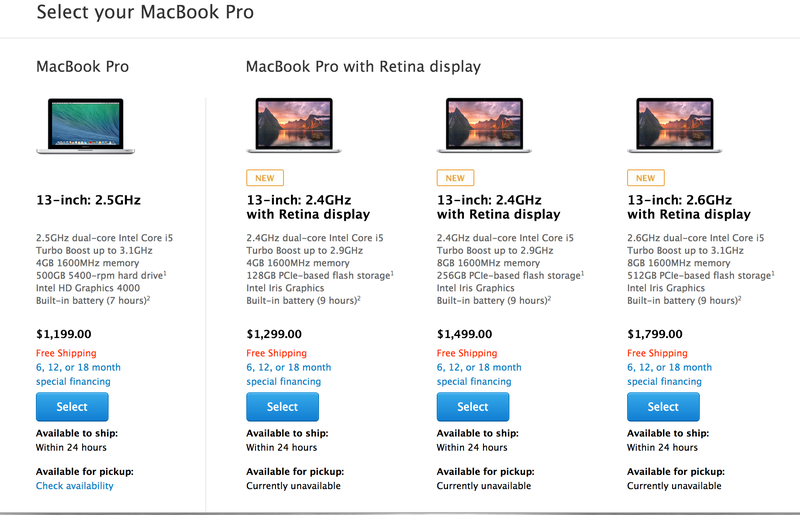 It starts at $1200, but once you start customizing, it easily surpasses the price of the new 13 inch retinas, which now start at $1300.